If your business is in the enviable position of having a lump sum that you would like to put aside as savings, then selecting the right business savings account for your circumstances is essential to ensure that your savings give you the best return. There a variety of business savings products available that can offer instant access or can provide high rates of returns for either fixed term savings or notice period accounts where you will need to give an agreed notice period to withdraw funds. Below we have looked at what some of the leading business savings account providers offer. The table below gives a quick price comparison of the top UK providers for business savings accounts. Some of the features and benefits of Santander’s business savings accounts. Santander offers a range of business savings accounts with preferential rates for their 123 Business World customers. They offer three business savings accounts and a client saver and bespoke corporate and commercial savings accounts for customers with specialist needs. Santander’s Business Everyday Saver and Business Reward Account offer easy and instant access to funds online, over the phone or at an ATM. Both require a minimum £1 deposit. The Business Reward Saver offers a high rate of interest when you don’t make withdraws. The Fixed Rate Business Bond is for a fixed term with no transactions during the term. The minimum deposit is £5,000 up to £5 million. Some of the features and benefits of HSBC’s business savings accounts. HSBC offers a range of business savings accounts available to existing and non-current account customers. They offer two types of savings accounts – instant access and fixed term account. The instant access account is the Business Money Manager which has no minimum deposit or maximum limit. HSBC’s fixed term deposit account is the Money Market Account which offers three types of accounts – Call Account, Notice Account and Fixed Account. These all offer higher variable interest rates linked to the amount of money deposited and the fixed term length. Minimum deposit varies but start from £5,000 and can be fixed for periods from a day to 5 years. Some of the features and benefits of Metro Bank’s business savings accounts. Metro Bank offers a range of business savings accounts that allow you to maximise your interest and make your money work for you. They offer a choice of instant access accounts and fixed term accounts. Their instant access account is the Business Instant Access Deposit Account which offers a variable interest rate and allows you full access to your funds through your online account. Metro Bank’s Business Fixed Term Deposit Account offers interest rates of 0.4-1.5% depending on the amount of money deposited and the length of fixed-term chosen. Terms are from 1 month to 2 years with a minimum deposit of £5,000. Some of the features and benefits of Aldermore’s business savings accounts. Aldermore offers three business savings accounts to small to medium-sized businesses offering competitive interest rates. They offer a rate checking tool to compare their accounts interest rates. They offer accounts with a minimum deposit of £1,000 to £1 million and corporate savings accounts for those wanting to deposit higher amounts. Aldermore’s Easy Access Account offers an easy access account where you can make a deposit and withdraws whenever you need to with a variable interest rate. They offer two fixed rate business accounts that offer a choice of fixed terms from 60 days to 5 years. One has the option to access your money and the other doesn’t. Some of the features and benefits of Lloyds Bank’s business savings accounts. 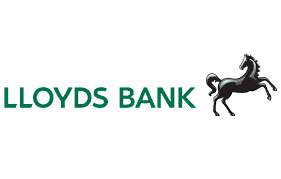 Lloyds Bank offers business savings accounts that match the size of the business and its turnover. Their savings accounts are flexible and can be tailored to meet your needs. They offer instant access, fixed term, notice account and client accounts. Lloyds Bank’s instant access account offers a variable interest rate and requires a minimum deposit of £1 and a limit of £5 million. Their other accounts have a minimum of £10,000 to £5 million deposit. The Fixed Term Deposit account length is from overnight to 3 years with a fixed interest rate. Their 32 Day Notice Account has a variable rate tracking the Bank of England Bank Rate. Some of the features and benefits of TSB’s business savings accounts. TSB is a UK banking provider that offers business savings accounts to their existing business customers and is currently not accepting new customer applications. They offer two types of account – an Instant Access Account and a Client Account. TSB’s Instant Access Account offers customers access to their funds online, over the phone and in the branch. It offers tiered interest rates that are calculated daily and paid monthly. It has a minimum opening deposit of £1 and a maximum savings limit of £5 million. The Instant Access Savings Account is available to most businesses including sole traders. Some of the features and benefits of Barclays’ business savings accounts. Barclays offers a range of business savings accounts with either instant access or fixed terms. Their accounts are the Business Premium Account, Treasury Deposit Account and Clients Premium Account. Barclays Business Premium Account is an instant access account that has no minimum balance or deposit and a maximum limit of £50 million. You can access the account online, over the phone and in branch and make unlimited free withdrawals through your Business Current Account. Their Treasury Deposit Account is a fixed term account offering higher rates of interest that are fixed of the term which can be for overnight to 12 months. Some of the features and benefits of Masthaven’s business savings accounts. 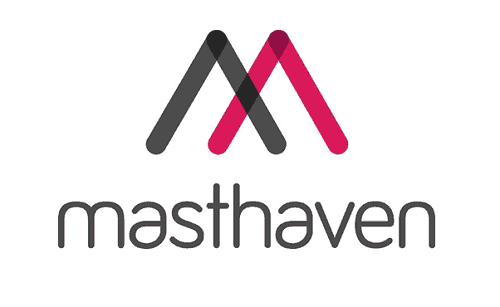 Masthaven is a UK based banking provider offering a range of savings and loan products to UK businesses. They only offer fixed rate business savings accounts that offer a choice fixed terms from 6 months to 5 years. Their accounts offer higher interest rates because they are fixed term accounts and the rates increase with the length of the term. Masthaven’s business savings account are simple to set up and easy to use. It has a minimum deposit of £5,000 and a maximum of £500,000. You can open more than one business savings account with a limit of 4 accounts and a combined value of up to £1 million. Some of the features and benefits of NatWest’s business savings accounts. NatWest offers a choice of business savings accounts that provide very different terms. Their three accounts are Business Reserve, Liquidity Manager Notice Account and Treasury Reserve. The Business Reserve account is an instant access account that can be used for savings or reserves that you want to set aside and it has no minimum or maximum balance. NatWest’s Liquidity Manager Notice Account offers higher rates of interest on lump sums but requires a notice period of either 35 or 95 days for withdrawals. The Treasury Reserve account is a fixed term account offering periods from overnight to 12 months with a minimum deposit of £25,000. Some of the features and benefits of RBS’s business savings accounts. RBS offers several business savings accounts that offer a variety of terms to meet the different needs of business savers. They offer three business savings accounts which are Business Reserve, Liquidity Manager Notice Account and Treasury Reserve. RBS has one instant access account called Business Reserve that has no minimum or maximum balance. Their other two business savings accounts have fixed terms (Treasury Reserve) or notice periods (Liquidity Manager Notice Account). The fixed term account is available for amounts over £25,000 with periods from overnight to 12 months. The notice account offers a choice of 35 or 95 days’ notice period and has no minimum or maximum balance. Some of the features and benefits of Bank of Scotland’s business savings accounts. Bank of Scotland offers several business savings accounts which include instant access, notice period, fixed term and client accounts. Their Business Instant Access account offers access to your savings with no withdrawal penalties with a minimum deposit of £1 and maximum savings of £5 million. Bank of Scotland’s notice accounts has a minimum deposit of £10,000 and a maximum of £5 million that has no fixed term but requires 32 days’ notice for withdrawals. Their fixed term account has a minimum deposit of £10,000 and £5 million maximum limit available on fixed terms from overnight to 3 years. Some of the features and benefits of Nationwide’s business savings accounts. Nationwide offers a variety of business savings accounts that provide accounts to meet most business needs including charities. They offer three types of business savings accounts which are instant access, notice accounts and fixed term accounts. Nationwide’s instant access saver offers competitive interest rates and no withdrawal penalties. Notice accounts offer 45 and 95 day notice periods. Both accounts require a minimum £5,000 deposit and a maximum limit of £10 million and have a minimum withdrawal amount of £500. The fixed term accounts have a choice of term from 6 months to 5 years for amounts between £5,000 to £10 million and no withdrawals during the term. Some of the features and benefits of Virgin Money’s business savings accounts. Virgin Money offers business savings accounts to a wide variety of businesses that are registered in the UK as an SME or micro business including sole traders. They offer three types of accounts that give competitive interest rates. These accounts are instant access or fixed term accounts. Virgin Money’s business savings accounts all have a minimum deposit of £1,000 and a maximum limit of £10 million. The instant access account is called Business Access Savings Account which allows you to access your savings at any time through your online account. They offer two fixed term accounts that can be fixed for 1 or 2 years with higher fixed interest rates. Some of the features and benefits of Cynergy Bank’s business savings accounts. 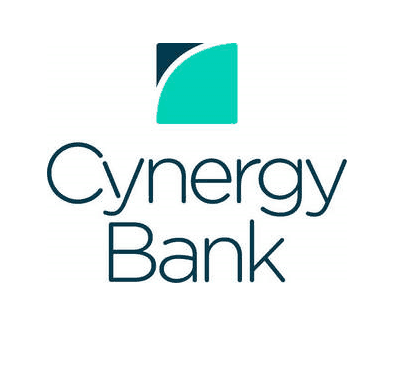 Cynergy Bank offers a range of business savings accounts for longer-term savings. They have three types of accounts which are fixed term, notice and client account. Their accounts offer competitive interest rates and existing customers get loyalty rates and terms. Cynergy Banks’ fixed term account is called a Fixed Rate Bond which gives you fixed interest rates on deposits between £10,000 and £1 million for periods from 9 months to 3 years. Their notice account is called 95 Day Notice Account which is available for deposits between £1,000 and £1 million with a maximum balance of £5 million. This account requires 95 days notice and has unlimited withdraws. Some of the features and benefits of State Bank of India’s business savings accounts. 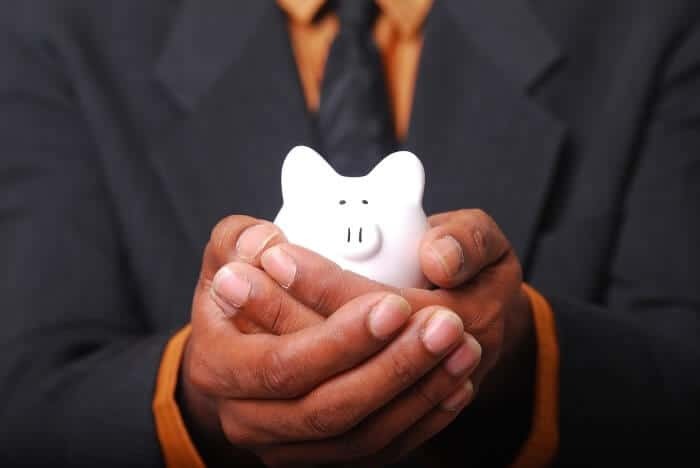 State Bank of India offers a business savings account that is available only to small businesses that have less than 10 people and turnover below €2 million. The account has no annual fee if an average minimum monthly balance is maintained at £10,000 and there are also no transaction fees for the first 25 transactions if this minimum level is maintained. State Bank of India applies interest monthly on balances between £10,000 and £5 million. This account is an instant access account that can be accessed and managed in their branches, through the post or online on their banking facilities. Some of the features and benefits of United Trust Bank’s business savings accounts. United Trust Bank is not a traditional high street bank, but they offer their banking services online and through the post. They offer a range of business banking services which include two fixed term bond saving accounts. They provide a choice of two accounts that offer two term lengths of one and two years. United Trust Bank claims to offer businesses competitive interest rates and that their accounts have no hidden charges. Their two accounts offer two levels of interest rates with the high rate being for the longer fixed term length. Both accounts have a minimum of £5,000 deposit and a maximum account limit of £1 million. Some of the features and benefits of Clydesdale Bank’s business savings accounts. 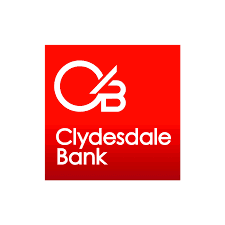 Clydesdale Bank is a high street bank that offers businesses a wide range of business banking products which include business savings accounts. They have a broad range of business savings accounts that offer a choice of instant access, fixed terms and notice period accounts. Clydesdale Bank’s saving accounts include Instant Access, Term Deposits and Notice accounts. The instant access account is the only one that allows you to access your savings at any time without notice. The notice account has a select of notice periods of 15, 30, 95 or 120 days. They offer a range of fixed-term deposit accounts which include business, treasury and charity accounts. Some of the features and benefits of Yorkshire Bank’s business savings accounts. Yorkshire Bank is a financial banking provider offering a variety of business banking products including business savings accounts that have a variety of terms and access arrangements that can suit most businesses. They offer three types of accounts – instant access, notice accounts and fixed term accounts. Yorkshire Bank offers a general saving account with instant access and no penalties for withdrawals. They offer a range of notice accounts that require between 15 and 120 days notice to make withdrawals. Their fixed term accounts are available to businesses, treasurers and charities. The business fixed term is limited to a minimum of £5,000 to a maximum of £5,000,000. Some of the features and benefits of Charity Bank’s business savings accounts. 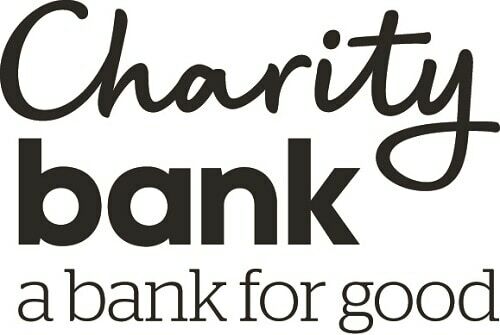 Charity Bank is a banking provider that is different to most banking providers as they are committed to being an ethical bank as they owned by charitable foundations, trusts and social purpose organisations. They work with businesses to offer them savings products that help others by using the money to fund loans and support charities and community groups. Charity Bank offers four savings accounts – instant access, notice account and two fixed term accounts. Their instant access account is a simple and flexible account. Their notice account is fixed at 100 days notice period and their fixed term accounts offer two periods – one or five years. Some of the features and benefits of Hampshire Trust Bank’s business savings accounts. Hampshire Trust Bank is a specialist bank that offers asset finance, property finance, mortgages and savings accounts. They offer three business savings accounts that can provide good rates of returns through their fixed term or notice period accounts. Their accounts are available to businesses, charities and other organisations. Hampshire Trust Bank’s fixed term accounts are available on either 1 or 2-year terms with fixed interest rates. The account requires a minimum of £5,000 deposit and allows up to £750,000 in savings. Their notice account offers variable interest rates with 90 day notice period which has a minimum £5,000 deposit and a maximum investment of £750,000. Some of the features and benefits of Kent Reliance’s business savings accounts. 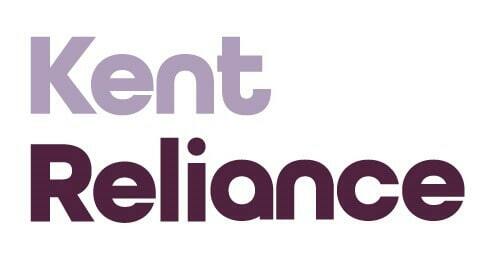 Kent Reliance are a South East of England based banking provider that offers its products to both individuals and businesses. These products include savings, ISAs, bonds, mortgages and business savings. They offer a single business savings account that is available to private limited companies in the UK. Kent Reliance’s business savings account is a variable interest account that offers instant access to your savings without the need to give notice or be subject to penalties for withdrawals and the choice of monthly or annual interest payments. This account is simple to set and can be managed online but requires an initial deposit of £1,000. Some of the features and benefits of Cumberland Building Society’s business savings accounts. Cumberland Building Society is a local banking provider in the North West of England and parts of Scotland who offers a range of accounts and lending products to individuals and businesses. They offer four business savings accounts that provide a choice of instant access, notice period accounts and fixed term accounts. Cumberland Building Society offers two instant savings accounts that have variable interest rates with an eSavings account that is an exclusive online savings account available to Business Internet Banking customers which provides a higher rate of return. They also offer a 40 day notice period account and a 2 year fixed rate account. Some of the features and benefits of Redwood Bank’s business savings accounts. Redwood Bank is a business banking provider based in the UK and was established to help businesses and support their business growth. They offer one single business savings account that they claim is a simple account that makes business savings easier. Redwood Bank’s business savings account is a notice period account that requires you to give 35 days notice to access your savings. Their savings account allows you to make as many top-ups as you want up to the maximum limit of £1 million. You can also make as many withdrawals as you like with 35 days notice as long as your minimum balance stays above £10,000. Some of the features and benefits of Shawbrook Bank’s business savings accounts. Shawbrook Bank is a UK based specialist savings and lending provider that offers its services to SMEs and individuals. They offer businesses two savings accounts that are a notice account and a fixed rate account that they state are designed to suit business needs. Shawbrook Bank’s notice period account requires 100-day notice for any withdrawals and is available for savings from £5,000 to £2 million and it gives a variable annual interest rate which will drop if the minimum balance is not maintained. Their fixed term account has a 1-year term with a fixed interest rate to guarantee returns. Some of the features and benefits of Cambridge Building Society’s business savings accounts. Cambridge Building Society is an independent, mutual society established in 1850 and has been delivering banking services in its community since then. They offer a broad range of banking services which include business banking services such as business savings accounts. They offer these accounts to a broad range of businesses including sole traders, as well as charities, clubs and associations, and provides a specialist account for Councils. Cambridge Building Society has four business savings accounts – an instant access account, fixed term bond, notice period account and a Council account. The fixed term account offers 1 year fixed interest rates and the notice account requires 100 days notice for withdrawals.